After breaking through with a pair of strong French-language records, and taking time off to have a baby, what's the best way to ease back into Canadian indie music fans' conversations? 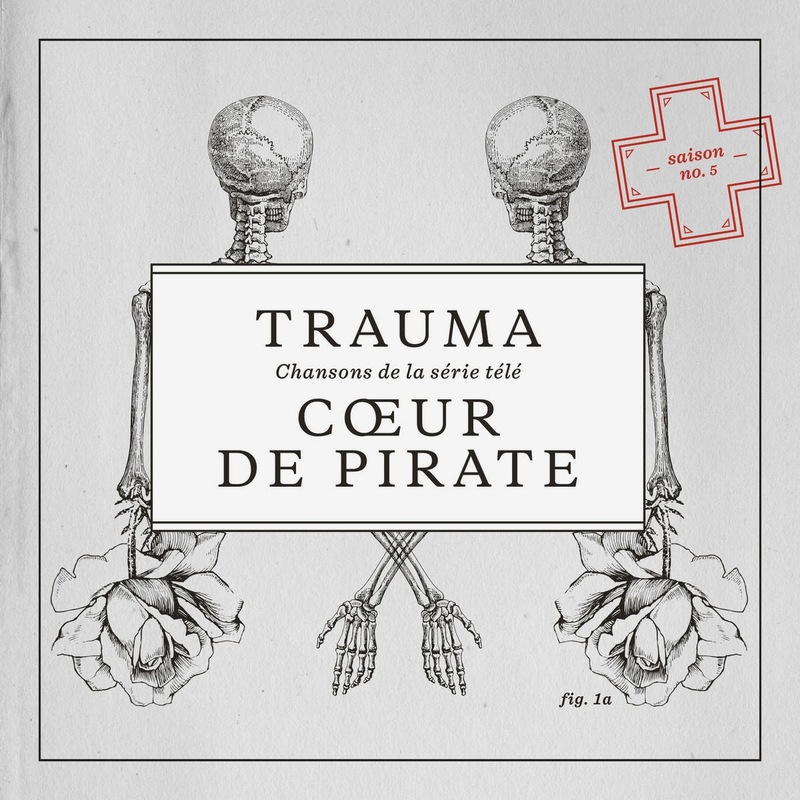 For Coeur de Pirate the answer is to release Trauma, a collection of English-language covers. What Beatrice Martin brings to these songs is a cinematic feel. Her pacing is deliberate and her vocals vulnerable, heightening the sense of drama in songs like "Summer Wine", and the simple piano/vocal "You Know I'm Good". The album makes huge nods towards the past. The rendition of "Last Kiss" is far more faithful to the early '60s original than Pearl Jam's smash hit version was. The opener, a haunting take on "Ain't No Sunshine", is equal parts Nico and Nancy Sinatra. Martin's transforms "Lucille" from a Kenny Rogers' country classic into an even sadder narrative of a scene from a dingy hotel bar. There's a twang to works its way into the weepy "Music When the Lights Go Out". The biggest sound (which really isn't all that big) comes as the tension rises on Martin's take on my favorite song by The National, "Slow Show". She even has the guts to take on the legendary Tom Waits, and does so with aplomb on "Bottom of the World". Now, I'm a sucker for cover albums, and I'm a huge fan of many of the tracks that Coeur de Pirate selected. But being as clinical as I can be in my assessment, this is still an exceptional record. Best tracks: "Bottom of the World", "Music When the Lights Go Out"